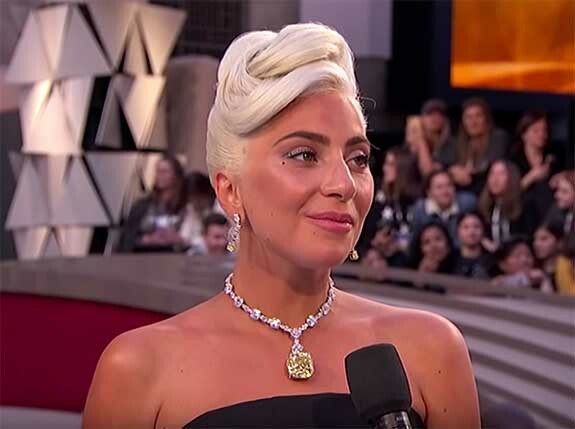 Lady Gaga may have scored an Oscar for Best Original Song on Sunday night, but what had everybody buzzing was her red carpet reveal of “The Tiffany Diamond,” one of the largest and finest fancy yellow diamonds in the world. The gem made its first public appearance on the neck of Mrs. E. Sheldon Whitehouse at the 1957 Tiffany Ball. Actress Audrey Hepburn famously wore it in 1961 publicity posters for the motion picture Breakfast at Tiffany’s. And, on Sunday, Gaga and The Tiffany Diamond turned heads at the 91st Academy Awards. 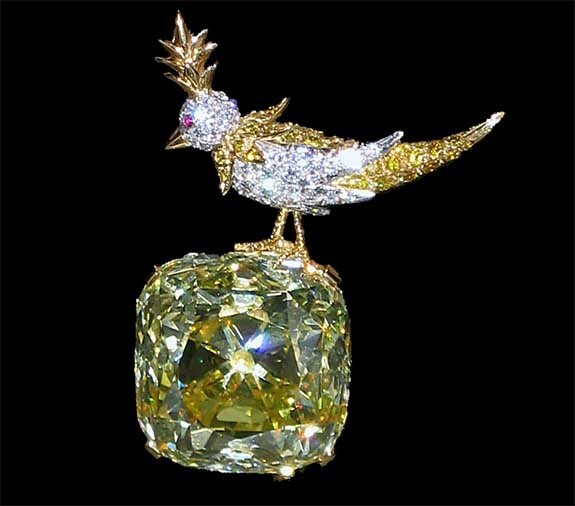 The 128.54-carat yellow diamond was cut from a 287.42-carat rough stone discovered in the Kimberley diamond mines of South Africa in 1877 and acquired the following year by Tiffany’s founder, Charles Lewis Tiffany. The Tiffany Diamond necklace worn by Gaga was designed in 2012 to mark Tiffany’s 175 anniversary celebration. 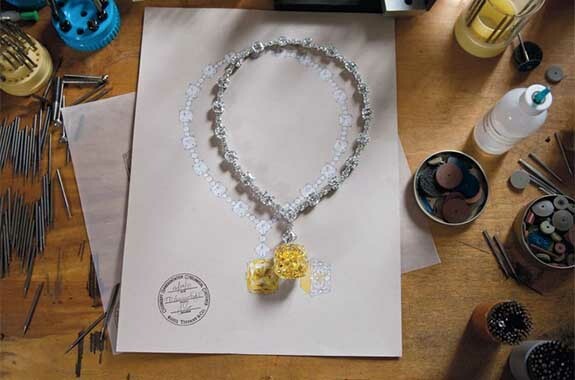 The platinum necklace features an openwork motif of sunrays glistening with 481 diamonds totaling more than 100 carats.